This practical handbook not only teaches the basic fundamentals of op amps, it also covers various op amp application areas in great detail. This is not a cookbook of circuit designs, but rather a book to learn how the circuit and amplifiers actually function. 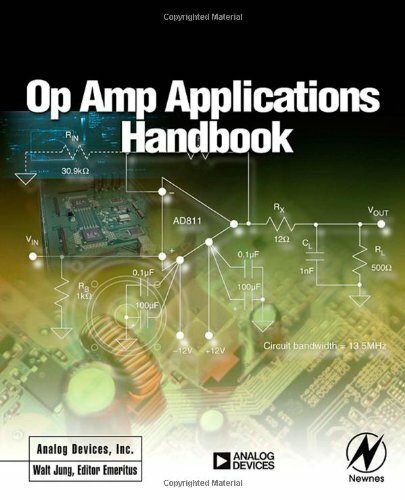 Circuit designers, electrical engineers, instrumentation engineers, or electrical engineering students, will find this to be a very useful and practical reference book on op amps and their application. This online book on practical electronics will teach you to create electronic devices on your own. All components and circuits are illustrated and explained in detail with lots of simple and complex examples for the beginners.